1 Million for Work Flexibility has more than 100 organizations on board to date as part of our coalition—and counting. We’re pleased to share more information about our supporter Polycom in this Q&A. If you’ve ever walked into the meeting room of a corporate office, you’ve likely seen a “starfish” conference phone. This ubiquitous technology seems to be a standard feature of every such room on the planet. But even though you’re familiar with the phones, you may not know much about the company behind them. That company, Polycom, was started in 1990 when one of its co-founders, Jeff Rodman, bought a 95-cent book about building speakers. Rodman’s love of tinkering and ear for music—he’s an outstanding pianist—set the foundation for a company that has grown tremendously during the last 27 years. Based in San Jose, Calif., Polycom has operations in more than 35 countries, building collaboration technology that lets people work together to get things done. Creating products based on open standards that are interoperable with many other technology solutions is key to Polycom’s strategy. Along with many other partnerships, Polycom has a close relationship with Microsoft, and the two work together to build voice and video solutions for Skype for Business and Office 365. Befitting a company that helps far-flung teams communicate, Polycom also offers considerable flexibility to its own employees. The company’s culture is built on video, and many of its employees are working remotely at any given time. As for the company’s future, it looks even brighter than its past, as a result of Polycom’s 2016 acquisition by affiliates of Siris Capital Group. In this Q&A, Andrew Cuneo, Corporate Communications Senior Manager, Public Relations, for Polycom, talks about the company’s place in the industry and the impact flexibility will have on its future. 1MFWF: Polycom’s audio and video conferencing solutions have grown more robust even as remote work and global corporations have become more common. How has Polycom helped to lead this change in how people work? Polycom: We get asked this a lot. Many of our competitors are trying to build solutions that will change the way people work. That’s the wrong approach. We shouldn’t have to adapt to technology, but rather technology should adapt to the way we operate. That’s where I believe Polycom has, and will continue to succeed. Using voice and video technology should be as easy as breathing. You shouldn’t have to think about it. Michael Frendo, our executive vice president of worldwide engineering, always says, “If a customer has to pick up a remote to change a camera angle, then we’ve failed. The best user experience is one they don’t even think about.” We’ve built cameras that automatically track an active speaker in a room. We’ve improved the far-end experience for those who work remotely. We’ve built solutions where all you need to do is walk into a room, the technology turns on and starts working. THAT’S where Polycom has helped enable the workplace. We also know more people are working remotely. We recently conducted a survey of 25,000 people—and found that 62 percent take advantage of their company’s flexible work policy. As we saw from the now infamous BBC interview, anything can happen when you work remotely. We’ve built solutions for those environments as well. Acoustic fence, or a noise reduction technology, makes the sound better for far-end participants. We’ve all worked remotely where there were crying babies, barking dogs, leaf blowers, sirens. It’s distracting and hard to hear. These solutions block out distractive noises so all they focus on is you. Work is no longer a place you go, but something you do anywhere. And we are prepared for it all. 1MFWF: What are the characteristics of the ideal Polycom employee, and why? How has recruiting these kinds of workers helped the company succeed? Polycom: We all use video. I mean, almost religiously. I’d be willing to bet if you interviewed 1,000 Polycom employees, nearly all would say they couldn’t go back to simple audio calls. I’m one of them! Many of my former colleagues who have gone on to other companies have emailed me saying how much they miss using video. I read recently that 80 percent of communication is body language. With video you can read a room. You can judge facial expressions and develop stronger relationships with your colleagues. There are fewer misunderstandings, and we’re more productive. In that survey mentioned earlier, 92 percent of workers said they know their colleagues better by using collaboration technology like video. We’re also comfortable being remote—which is critical to both the individual employee, who has the flexibility to work from anywhere, and Polycom. Remote and flexible policies can help attract talent without geography being an obstacle. That means we hire the right people no matter where they are. I think you have to be a good communicator and willing to network, even if you’re remote. Being visible is important, and our tools allow you to connect and be visible even if you’re working in a remote location. 1MFWF: As Polycom creates products that help businesses to be flexible, what kinds of flexibility does the company offer its workers? How has Polycom’s flexible work model evolved over the years? Polycom: Polycom is obviously a unique case. At any given time, we estimate that roughly 2,000 employees are working at Polycom sites throughout the world, and another 800 employees, or 28 percent of our team, are working from home or remotely. Approximately 800 of our employees officially work from home and do not live near a Polycom office. Many others practice a flexible work set-up. Some work in the office and at home regularly, others prefer the office on a normal basis but like to take advantage of flexible working when it works for them. Our flexible work culture has evolved with the times, but ahead of many other companies. We are used to working remotely and enjoy the benefits it offers. Employees can take advantage of some very cool personal travel and volunteer opportunities because they can make it work with their professional life. Our collaborative flexible culture means employees have gotten better at working across many time zones in a way that works with their lives. We might take a couple calls from home in the early morning with our colleagues on the other side of the world, then get our kids off to school and head to the office, and leave early in the afternoon to beat the traffic and have time at home for other things important to us. This sounds like a nice perk for employees, and it is, but it’s important for the company, too, since we’re able to get our work done and stay engaged. 1MFWF: How would you describe Polycom’s corporate culture? What message does that culture send to both employees and customers? 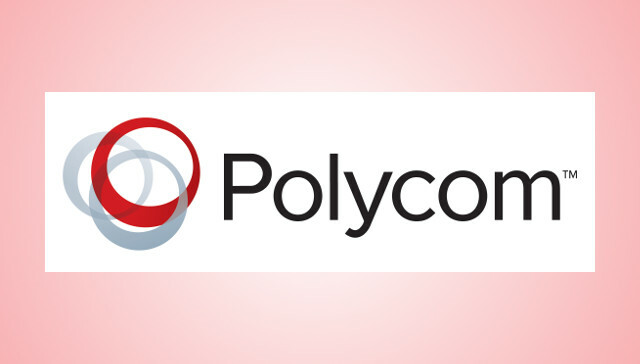 Polycom: I joined Polycom almost three years ago and prior to that served as an outside PR representative for the company. It was evident from day one that Polycom’s culture is video. I work on a global team of 10 people. I’ve only met one of those people in person. But I have terrific relationships with them all. That cannot be built on instant message and voice calls alone. That’s a video-built relationship. Before I started working with and for Polycom, I rarely, if ever, used video. I’d heard the benefits of video conferencing, tried Skype with my folks, but otherwise didn’t appreciate or comprehend how good it was. I think for customers, it’s the same way. Until you see how impressive the quality is, you don’t fully appreciate the power of it. Until you share a document and make changes simultaneously, you don’t see the value. Once customers—or anyone for that matter—see the technology, it changes their opinion. It certainly did for me. For all the reasons I mention above, our employees have been able to better serve our customers and create more innovative products and solutions that meet their needs. 1MFWF: Polycom was acquired by Siris Capital Group in 2016. How will that change position the company for growth in the years to come? How will a focus on flexibility help Polycom achieve its goals? Polycom: Now that Polycom is private we can adapt to market changes more quickly and do things we couldn’t always do when we were public. Flexibility is going to help us because we have the smartest, most innovative engineers in the industry, and we’ve developed solutions that allow our employees to connect and collaborate more effectively. As our CEO Mary McDowell says, it’s a great time to be at Polycom. Andrew Cuneo, Corporate Communications Senior Manager, Public Relations, Polycom claim of flexible work model is not true. Inspite of being a Video Conferencing Company, Polycom discourage work from home culture and provide that option for very few employees definitely not 28%.